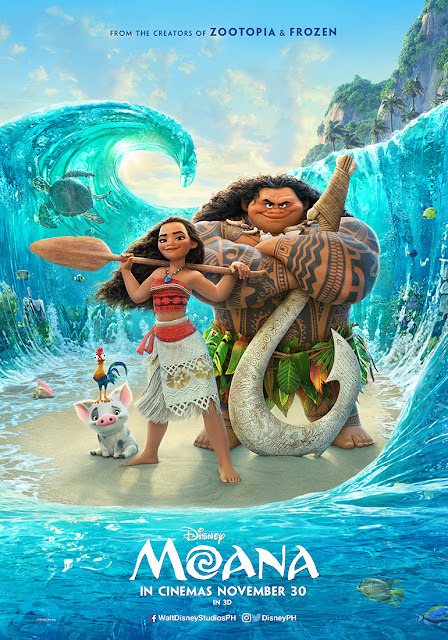 Disney has just released the payoff poster for the new, seafaring animated adventure “Moana” starring Dwayne Johnson and Auli'i Cravalho. The film sails into Philippine cinemas Nov. 30. “Moana” is distributed in the Philippines by Walt Disney Studios Motion Pictures through Columbia Pictures. Like us on Facebook, WaltDisneyStudiosPH; follow us on Twitter, @disney_phil; follow us on Instagram, @disney.ph and use the hashtag #MoanaPH.